In hunting or in golfing, when you are aiming for certain objects, you need to get accurate distance between you and target, so how does this realize? Well, a laser rangefinder is quite helpful. It measures accurate distance in just a few seconds. Through constant innovation, there are many advanced technologies adopted on the ranging devices, and thus leads to popular use on laser rangefinders in various outdoor activities. Many laser rangefinders brands are now pay much attention on producing high accuracy rangefinders to meet customers’ needs, functions of each also diverse a lot. Some are capable of offering slope distance, some are suitable for shaky hands, some are pretty suitable for long distance ranging, while some, ideal for measuring distances among woods and forests. Getting a best laser rangefinder is actually saving much money, its long service life and brilliant performance are able to provide you with satisfying using experience. Facing so many brands and types, which exactly serves your needs most? How to avoid getting an inferior rangefinder? In this article, we will give you detailed best laser rangefinder reviews and buying guides on choosing them. How To Use A Rangefinder? What Is A Good Rangefinder? This is the top rated laser rangefinder on our list for its highly cost effectiveness. 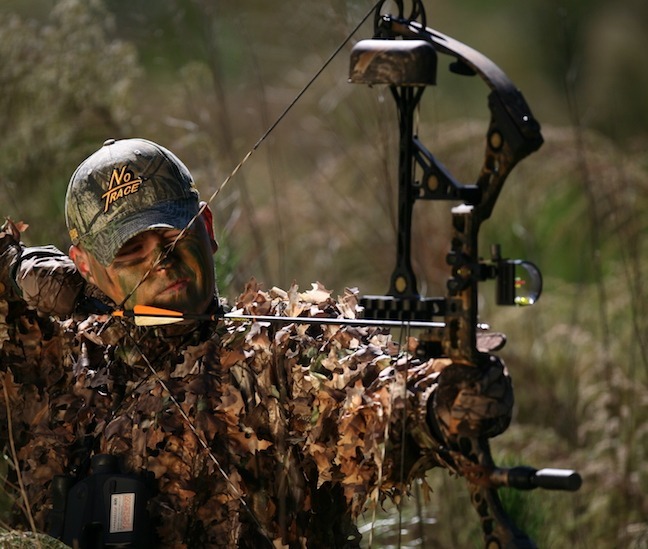 Camo appearance enables it to be used for outdoor hunting or archery use perfectly. Simple one button design makes it easy to operate with single hand, along with ergonomic shape, it feels pretty comfortable in hand. The optics are quite clear and easy to operate. 4x magnification gives full field of sight in hunting. Black crosshair helps you to easily pin on objects. If you are not familiar with yard, you can also toggle between yard and meter. For large game animals, it works well within 350 yards. Being an entry level rangefinder, this one is highly affordable to most people. Besides, Bushnell is one of leading brand on laser rangefinders, it provides you with 1 year limited warranty, all your problems will be solved by their thoughtful service. Vortex is another best laser rangefinder brand on the market, and this rangefinder is also in brilliant quality level. It ranges up to 1300 yards and can be used for long distance hunting. For uphills and downhill games, primary HCD (Horizontal Component Distance) mode enables to give angle compensated distance according to degree of slope. Scan mode offers you the chance on getting continuous updated measurements in a few seconds. Fully multi-coated layers reduce the loss of light and give a clear view on distance display. Unlike black display, red vivid display enables you to read distance clearly in dark light, but may get into trouble of reading in bright light. Two simple buttons design enables you to get ranges and change modes easily with one hand. Clear and high quality optics display natural views. 6x magnification helps you to get vivid view on your prey. Nikon laser rangefinder is quite simple to operate, it weights quite light, only 4.4 ounces and is as small as smart phone. Holding it in hand, you can easily take it around. However, what comes with it is a bit difficulty in holding it steady in hands. Pressing the button down for long time, it comes into scan mode. For whole 20 seconds, you get continuous updated distance readout. Multi-layer coating guarantees clear and natural views. If you are afraid of running out of battery pretty soon, it has 8 second auto-shutoff system to prolong battery life as long as possible. With only around 100 dollar, you get a multiple use device, which can be used for gun hunting, bow hunting and target shooting perfectly. Ergonomic shape enables you to hold it comfortably. Equipped with distant target priority mode, you can measure objects around bushes and trees in hunting. Water resistant and rain proof performance keep it use in complicated weather conditions. 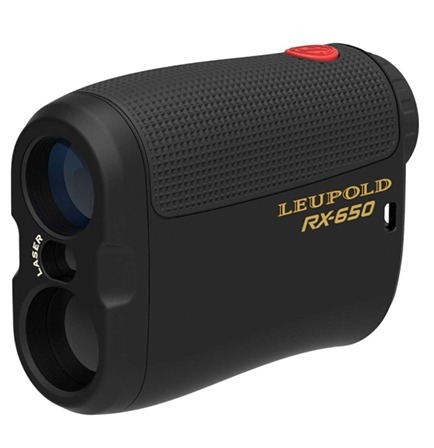 RX-650 laser rangefinder is suitable for hunting or archery use. For long time outdoor use, you will never feel too exhausted on taking it along because of its light weight. 6x magnification offers you clear and natural views on your prey but is also stuck with small field of view. Though in cheap price, it is still well-crafted. Holding it in hand, it feels so comfortable and stable with rubber armor. Red button set on the machine is helpful in operating with single one hand, for changing modes or for getting ranges, the single button is enough. Multi-layer coating and lens system enables a bright and pristine image for you. Black display shows on clearly in bright light but can be a little dim at night. For getting a clear view on your prey or your target, it has 6x magnification. Equipped with CR2 lithium camera battery, you will find it pretty easy on buying and changing batteries. Want a best seller rangefinder for golf? Come and look at this one. It ranks the first on Amazon for two years. 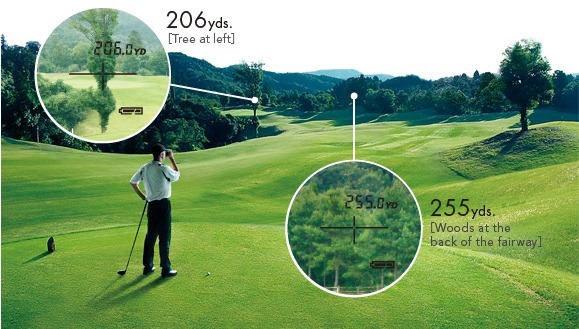 Measuring up to 540 yards, it meets basic need on golf use. By pressing the button down, it provides quick measurement with 1 yard accuracy. With special pinsensor technology, it pins on objects automatically and gives accurate measurement on overlapping objects. Either yard or meter shows on the display. When you intend to get rapid measurement on multiple objects, its scan mode is quite helpful. Multi-layer coated optics affect image’s clarity and reduce loss of light as much as possible. Durable and water resistant body enables you to use in all sorts of complicated weather conditions. In terms of shape, black coating looks pretty simple but good-looking. Rubber armor keeps it stable in hand even in wet areas. It weights quite light, you can easily hold it in hand and take it around. From distance target priority mode to first target priority mode, it toggles conveniently depending on using conditions. Kilo 850 laser rangefinder is said to be the most advanced one for outdoor hunting. With prices of around $100, its wonderful performance can be comparable even with some expensive high end types. Do you like long distance hunting? Maximum distance it ranges reach 1200 yards, results display to the nearest 1/10 yard. On long distance hunting, you will need a 4x magnification for getting full field of sight. Best thing of it is ergonomic shape and rubber armor design, even with wet hands, it feels so steady in hands. Two buttons are set on the machine, one is for ranging distance, while the other is for changing mode. Optics are pretty clear and in excellent quality level. In order to improve accuracy of rangefinder, it provides you with 4 range updates per seconds thanks to its HyperScan technology. What makes it wide popular is also for its AMR and LOS mode, offering angle modified range as well as line of sight range for complicated using conditions. This laser rangefinder is the most popular type among Simmons products, it costs no more than $200 but is quite helpful on getting accurate and fast measurement on your target. Range from 10 to 600 yards, you get fast distance by pressing the button down simply. With 4x magnification, you are able to have full field of sight on your targets. In both golfing and hunting, it shows excellent performance, you can also use it for tournament play, for it is totally legal in formal game use without slope function. The optics are pretty clear and in good quality level, showing clear and wonderful sight to you all the time. It is pretty compact and small, able to hold in hand perfectly. Thanks for its rubber armor, you can hold it steady with wet hands even. However, it is an entry level range finder that meets basic needs on ranging distance only. For ranging objects through branches and bushes, you may need to get a more expensive or more functional types. 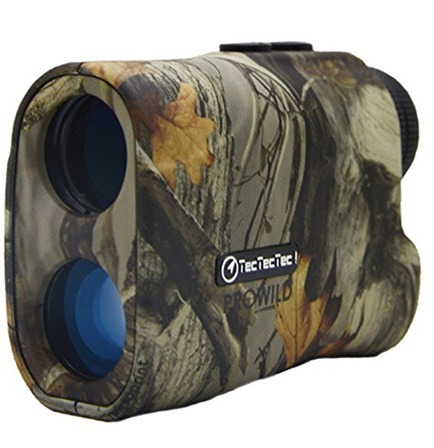 Tired of rangefinders specifically used for hunting or for golfing? Why not try this one. It can be widely used for archery, hunting and long range use. It is made with 100 percent quality materials and inherits Bushnell habitual brilliant performance. Being a mid level rangefinder, this is equipped with ARC technology to give angle compensated distance, from 7 to 199 yards, it works well on uphill and downhill games. Instead of getting stuck with limited field of view on high monocular, this one adopts 4x magnification. Reflective range is up to 850 yards, for deer, it ranges up to 200 yards, and for trees, it ranges 600 yards at most. From its appearance, you will find it pretty simple to operate, only few buttons are set for changing modes and getting ranges. What features most is that it is capable of shooting over obstacles without adjusting your positions. Apart from accurate distance it shows on the screen, there are also dots indicating maximum height your arrow travels. If you want a high quality product with affordable price, this can be a perfect choice. This laser rangefinder is another multi-purpose types, can be perfectly used for bow hunting, archery and also golf. But it is mainly designed for hunting use. With its camo coating, it hides well in animal hunting. There are all together two modes can be used, one is bow mode, providing you with the highest point your arrow travels. The other is rifle mode, it gives you holdover and turret adjustment for scope, but is just an estimation. 6x magnification offers you wide field of view, and also enables it to use in tree stand. Maximum distance it ranges reach 1300 yards, meeting your demand on long distance hunting. It gives angle compensation according to the degree of slope. Long eye relief makes it possible to use even with glasses on. Red vivid light is pretty clear in dark light, but may be hard to use in bright light conditions. Durable coating with water resistance performance enables you to use it in any weather conditions. Well, first from its appearance, you will know it is suitable for hunting use. It is really a worth buying and the most economical hunting rangefinder on the market, costs no more than $100 even. But do not think cheap price of it points to low quality, its great performance can be as well as some high end types. This is a short range device, with 540 yards as maximum distance. Even though designed specifically for hunting, you can also use it for golf because of its high 6x monocular. Scan mode gets you continuous updated measurements in a few seconds. Multi-layered optics minimize loss of light as much as possible so as to provide you with clear and natural views. Normal CR2 battery saves much effort on buying batteries in limited shops, auto shutoff system helps prolong battery life for constant outdoor use. It weights pretty light and can be taken anywhere you go. With simple button design, operation of it can be super easy. All you need to do is to press the button down and wait for accurate distance. However, you can not get a functional device with such cheap price, thus this is just a basic type for entry level users. Rangefinder is a distance measuring device used in all sorts of outdoor activities such as gun hunting, archery hunting and also for golfing. There are all together three types of rangefinders on the history, which includes optical rangefinder, infrared rangefinder and laser rangefinder. Optical rangefinder – It is the most traditional rangefinders on the market and has been used for many centuries, many even believe the times of optical rangefinders have gone. However, it is now still available for its cheap price and ease of use. It runs perfectly without power source or any software, and of course no advanced technology adopted on it. By using it, two images appear and once you rotate the knob, two images superimposed. Distance can be read out once clear image is shown, and that’s how optical rangefinder works. It is a kind of manual job but still reaches around 90% – 95% accuracy. But of course, you need to practice more on getting the skills. 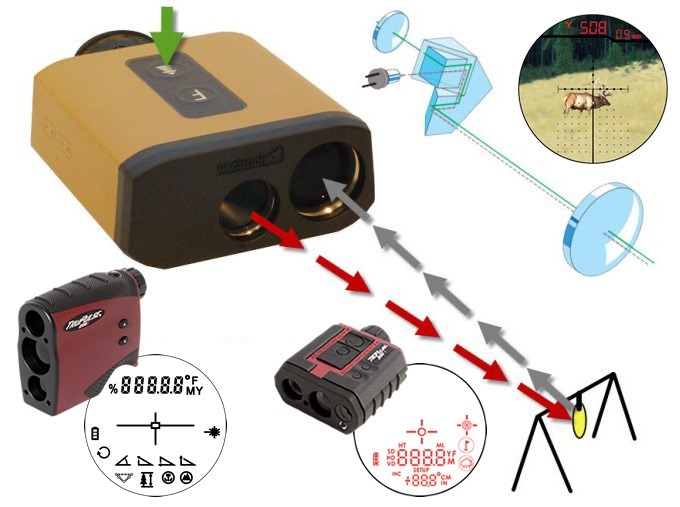 Infrared rangefinder – Infrared rangefinder calculates distance by emitting an infrared light to your target, then reflects back towards the device. Rangefinder collects all the data on angle between emitter and target, detector and reflection, calculates measurements and display distance with good accuracy. Compared with optical rangefinder, it can be a bit more expensive but still be affordable to most people. For its high accuracy and low battery consumption, it has been a popular choice for hunters. Laser rangefinder – Laser rangefinder is the most accurate and advanced distance measuring device on the market. Its working principle is quite the same as infrared rangefinder, but it calculates the time that beam takes to get to target and reflect back. With such advanced working, laser rangefinder is able to providing you with distance measurement every second you need. Power consumption of it lies the highest, but tends to be the best one on giving clear views for you. However, once you use it in foggy or other complicated weather conditions, the light beam is hard to pass through and thus accuracy of it can be decreased to large extent. Laser rangefinder prices tend to be the highest among three, but you get what you pay. Some high end types are able to meet all your demands on outdoor activities. Rangefinder is not a difficult device, through its appearance, you can feel how simple the operation can be. There are normally one or two buttons set, one is for range while the other is for mode. Take your rangefinder in hand, aim at the target and press down range button, you will get accurate distance in just a few seconds. Some rangefinders are equipped with different modes and functions, such as scan mode, rifle mode and horizontal modes, each of them can be adjusted through the single button. Rangefinder calculates distance to your target with the light beams out, that determines you need to hold it steady in hand. Shaking movement may lead to inaccuracy on distance measured. Of course, if you are shaky hands, an triangle may be helpful or you can get one that is designed specifically for shaky hands. From the macro view on dividing laser rangefinders, there are actually three types on the market, marine laser rangefinder, industrial range finder and outdoor range finder. The above two have high requirements on devices and are not frequently used by most people, if you want to get one for tactical use, we would like to suggest Bushnell Hunting Series Elite 1 Laser Rangefinder for you. However, for daily life use, there are normally four usages, which includes golf use, hunting use, archery use and bow hunting use. Golf laser rangefinder is normally equipped with many advanced features and priority, it needs to measure exact distance to flagstick and thus needs large monocular on finding small objects or flag stick far away, 6x or 7x magnification can be pretty suitable. Battery life of golf laser rangefinder is quite long, for it needs to be used frequently. The color and shape of it diverse and you can choose based on your preference. Golf laser rangefinder prices vary from 100 to 400. In order to save your time on choosing them by yourself, we made reviews on best golf laser rangefinders under 100, under 150, under 200 and under 300 for you to choose. Golf laser rangefinder with slope is able to help you measure distance on uphill and downhill games, it can be used for golf class also. 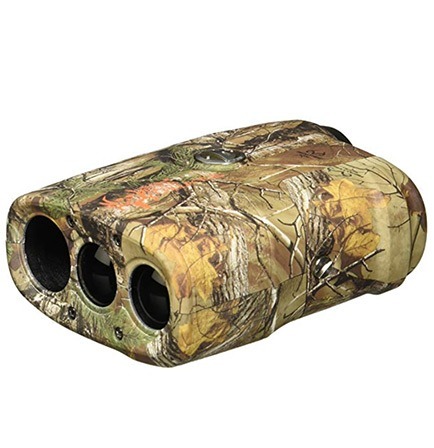 Laser rangefinder for hunting is normally designed into camo or black, the dark color shows great elusive in outdoor hunting. It requires faster operation in measuring distance. Monocular for hunting laser rangefinder is normally low, a normal 4x type is quite suitable, for it offers wide field of sight. Short distance and long distance hunting laser rangefinders can be chosen, for long distance type, the maximum distance they range reach more than 1000 yards. Prices of laser rangefinder for hunting are also different from their performance and ranges. Cheap affordable types ranges under 100 or 150 are suitable for entry level people, mid level types under 200 or under 300 are perfect for those who use them frequently for outdoor hunting. For uphill and downhill games, there are best hunting rangefinders with angle compensation you can choose. Hunting types need to be quite compact and small for frequent use, if you want a smallest one, you can read our reviews made for you. On rifle hunting and deer hunting, the requirement on devices are also different a lot. There are some designed into horizontal type that is super easy to use in shooting. If you go out for archery hunting for most of time, then you could get a best archery rangefinder. It is accurate in distance and has software for arrow and bullet compensation. We have made best archery rangefinder with angle compensation reviews, so you can use it in complicated outdoor conditions. For those who lack of enough budget, we picked out several best archery rangefinders under $200. Bow hunting rangefinder is actually a type of hunting rangefinder, it is water resistant and requires low monocular for full view of sight. (If you are searching for cheap type, you can get one through our review). It is used to measure the distance on objects nearby, suitable for short distance use specifically. In golf, you will find it pretty useful in finding flag stick or small objects. This mode is also known as second target priority mode, with this function, you can measure the objects around bushes and trees. It ignores background targets and offers the most accurate distance for you. On golf and hunting rangefinders, it is frequently adopted. This mode is normally equipped on Bushnell laser rangefinders, it serves for golf use only, making measuring distance easier and more conveniently. Scan mode enables you to get continuous updated measurement on objects. By pressing down the button all the time in using, you can get quick distance on multiple targets. It helps a lot in obtaining accurate distance, so nearly all the devices are equipped with such functions. This mode is used to calculate and adjust slope distance depending on degree of slopes. For golf course use or hunting use, this mode is quite useful and helpful, but it tends to be illegal for tournament play. Laser rangefinder needs to emit a beam of light for calculating distance, foggy air will decrease accuracy of measured distance, thus some high end types are equipped with fog mode. Some are even set with wind mode to offer wind compensation. Magnifications are able to offer you great chance on getting full field of sight or have a clear view of your targets. Normal magnifications include 4x, 5x, 6x, 7x and 8x. However, be sure to get a magnification lower than your tactical scope in case it is capable enough for the magnifying effect. For bow hunting rangefinders, there are some equipped with bullet drop mode. It is used to calculate bullet drop your shot in target distance, but it is just an estimation, for many factors such as rifle types, crosswind, powder charge and bullet types are not taken into consideration. Nikon, Leupold, Simmons, Vortex, when searching for best laser rangefinder brands, you will see so many brands name appears on the screen. Each of them claim to be pretty worth trusting and highly reliable. So which exactly one is the best rangefinder brand? What are the features of each brand? For the following text, we will give you a brief comparison on selected top rated rangefinder brands on the market. Nikon is well known for its camera and all sorts of optical devices. On laser rangefinders, it inherits habitual wonderful quality levels on optics. 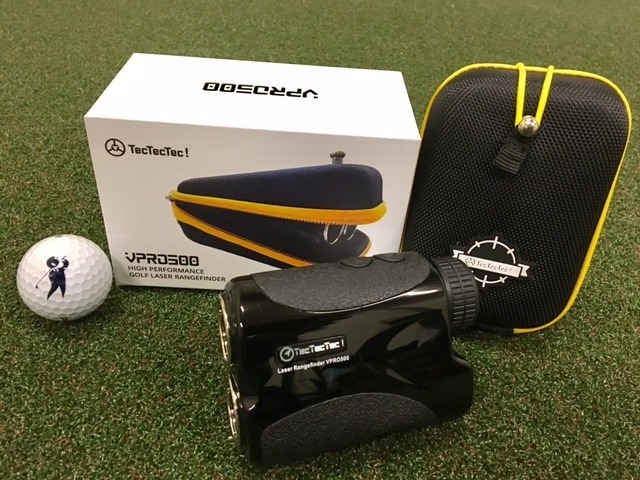 Two major series of laser rangefinders are popular use, including Coolshot series and Monarch series. Coolshot series is suitable for golf use, while Monarch types are perfect in hunting. Whole design style of Nikon rangefinder is simple but good looking, vibration reduction technology is adopted for shaky hands. If you want to get more information on Nikon, please visit its official website. Leupold started its business pretty early, first began with water lever recorder, and then expanded into fog proof scope, industrial scope, golf rangefinders, binoculars and all other kinds. Major feature of Leupold rangefinders lies in fog proof performance. It automatically reacts to sudden changes in temperature and thus is pretty suitable for outdoor use. Two types, including Gx series and Rx series, one is perfect for golfing while the other is used mainly for outdoor hunting. You can get more information through Leupold official website. 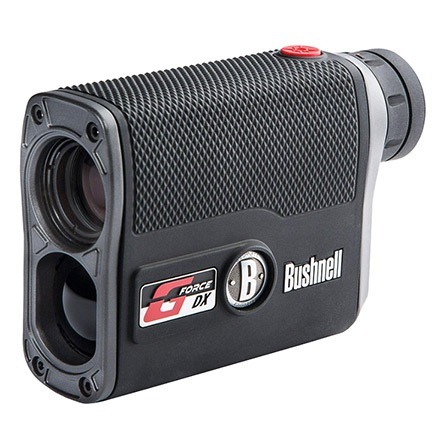 Bushnell is a laser rangefinder brand with long history, apart from rangefinders, it also keeps leading positions in binoculars, riflescopes, red dots, sporting scopes, trail cameras and night vision etc. 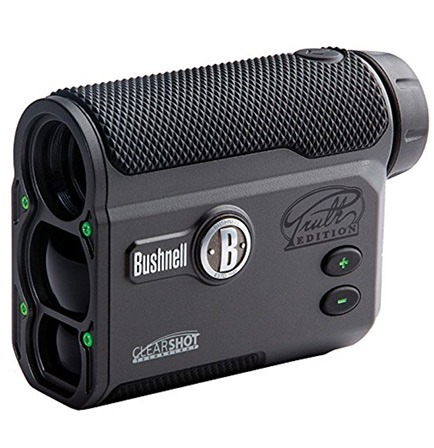 Being a top rated brand, Bushnell pays more attention on improving using experience, products of it ranges from low end to high levels types, from golf use to hunting use, some are used perfectly for tactical use. Advanced E.S.P. 2 technology is adopted on each of its mid level and high end rangefinders to improve the accuracy and speed on getting distance measurement. 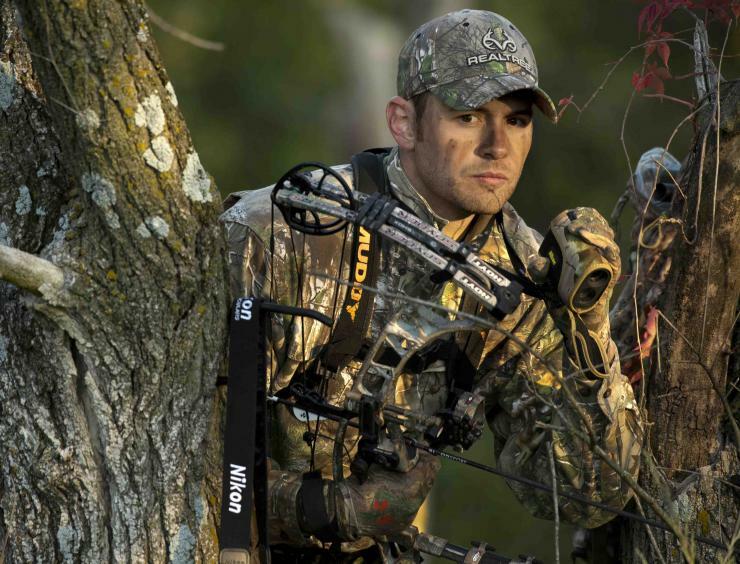 To get more information on the brand, check freely on Bushnell official website. In terms of best cost effective rangefinder brands, we would first recommend Simmons to you. It has been expert in distance device and rifle scopes for many years. Though with just a few products, each of them are well-crafted and high-performing. Prices of Simmons rangefinders are around 100, which is highly affordable. 801600 Volt type is a star product of it. Average yardage it ranges is not too long, which enables for short range hunting and golfing perfectly. Check more information on Simmons official website if you want to. 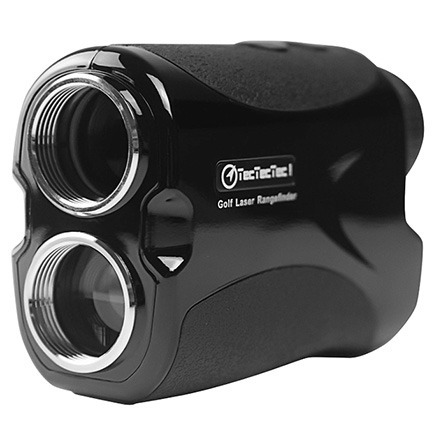 TecTecTec started its business pretty soon, but quickly became a leader in laser rangefinder. Its VPRO 500 series has been best selling rangefinder on Amazon for long time. Like Simmons, you can get a high quality distance device with only $100. TecTecTec is especially famous for its after sale service, according to feedback from customers, it provides you with thoughtful service all the time. VPRO type is used for golf use mainly, but if you intend to get one for hunting, you can choose its ProWild series. For getting more information on TecTecTec products or brands history, you can check through its official website. A good laser rangefinder is normally accurate in distance and fast in getting measurement, but apart from this, what else elements or features should it get? Here we will introduce some factors that a good laser rangefinder have. No matter for golfing or for hunting, laser rangefinders are frequently used outdoor. Complicated weather conditions and using conditions bring different levels of damage on device. That is why all the good rangefinders are made into water proof type, some are even fog proof or wind proof, enables you to use in bad conditions outdoor. Cases with rangefinders will protect machine to large extent. Target priority modes are basic modes rangefinder should equipped, including first target priority mode and second target priority mode (or say distant target priority mode). First target priority mode is used for measuring distance of small objects like stone or flag stick, which is pretty useful in golf. Second target priority mode is quite helpful in getting distance on targets around bushes and trees. Laser rangefinder uses electric power to keep working, most of them are powered by battery for frequent use. In order to save money and effort in changing batteries all the time, some rangefinders also use rechargeable USB. Battery runs out in frequent use, thus most quality rangefinders are equipped with auto shutoff system. In case you get in trouble of buying battery, we would like to suggest you to get one with normal CR2 battery. Scan mode offers continuous updated distance in using, thus you can use it either for getting accurate distance on certain objects or getting rapid distance on multiple targets. On adjusting to this mode, it displays slope distance for you by calculating and adjusting angle compensation based on degree of slope. It helps beginners a lot in golfing and hunting, but is not legal in tournament play. Some even take wind factor into consideration, aims to get the most accurate distance for you. In pinning on objects, reticle on display is quite helpful. The more simple reticle is, the more convenient it is in using, for a complicated type may get you fumbled in stress and you need to practice more in using it. Thus simple crosshairs can be ideal one. Apart from reticles, there are also dozens of features some high end rangefinders get. They help to predict your shot, give bullet drop and highest height your arrow travels etc. Too many features may not always be a good thing especially for beginners, you will need time to get accustomed to them in using. Usually on getting a laser rangefinder, there will be a bunch of accessories come along, such as case, lanyard or strap for carrying and batteries. For special made battery, it may be hard for you to buy substitute one in normal shop, thus you need to read carefully before buying. On casing, a metal casting or a rubber one is pretty ideal. We hope our distance machine to be in excellent performance all the time in using, however, we will always encounter unexpected broken on it. In such conditions, you need to turn to manufacturer for help. A reputable company is able to provide you with thoughtful service all the time. There will always be multiple things you need to consider on getting a best laser rangefinder on the market. When facing so many types and so many brands, which suits you best? Well, take following factors into careful consideration before buying, and then you can definitely find the most suitable one. We all know that there are multiple usages on laser rangefinders, some are suitable for golf, some are perfectly designed for hunting, you can also pick out best one for archery use. For different usages, requirements on machine are also diverse a lot. Therefore, you should first determine in what areas you intend to use the machine,or say, the scale of activity. For golf use, you can choose the one with multiple features and modes. For hunting use, you may get the best one with camo or black design. Some may be puzzled about the legality, here we refer to legality for tournament games. Many laser rangefinders nowadays on the market are designed with slope distance feature, helps to offering angle compensation especially for beginners. But it tends to be illegal for tournament play, therefore, if you just use it for daily practice or course use, you can get one based on your preference. But for frequent tournament use, you need to make clear of rules and get one that is legally. Ranges of each laser rangefinder vary a lot, some ranges up to 450 yards only, while some are able to range as long as 1600 yards. Then you should think what exactly range you need, whether for short distance or long distance hunting or golfing. Rangefinder is like smart phone, you need to hold it in hand all the time in using. Getting a small compact type can save much energy in various outdoor activities. Though smallest one makes it easy to bring about, you should know that the smaller machine is, the more difficult it can be on measuring it with single one hand. To solve the problem, a tripod is quite helpful. 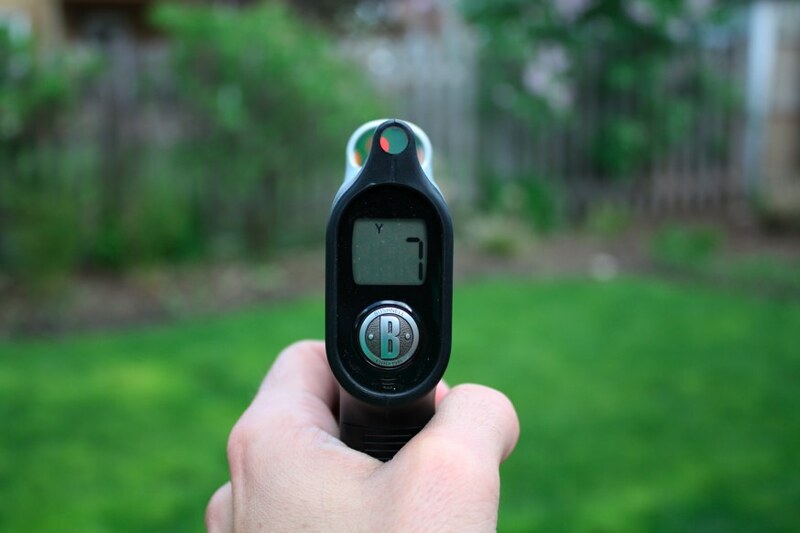 Accuracy is actually the most important factor for getting a good laser rangefinder. If you get a range device with bad accuracy, it can be a disaster and helps nothing at all, you are actually getting a half binocular at hands. Battery serves as the only power for laser rangefinders, it determines how long you can use it for outdoor wild life. Some rechargeable type is useful for daily golf use, but if you intend to live outdoor for long time, then the one with battery is of course the best choice. In case it runs battery quickly, you’d better bring extra batteries with you. Besides, we would like to recommend the one with normal batteries. Optical is the key element on laser rangefinder, if you get one with bad quality optics, then the using life of it can be shortened to large extent. A high quality optic should be pretty clear. For hunting or golfing, you need to pin on certain objects far away, some are as far as 1000 yards, without a good quality laser rangefinder, you will find it pretty hard to have a clear view on your prey. Normal magnification equipped on most laser rangefinders are 4x or 6x types. For golf use, you can get a high monocular type as 6x or even 7x for pinning on small objects. 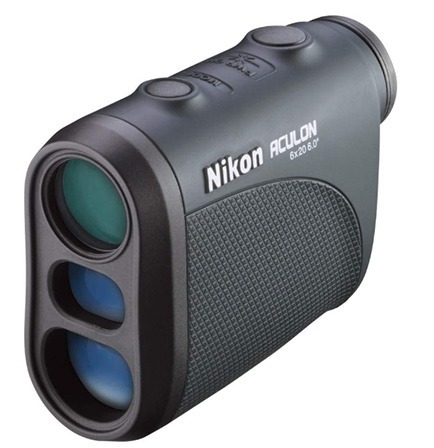 When used for hunting use, a high monocular will get you stuck with small field of view, thus a 4x type is perfect. Multi-coated layers are able to reduce the loss of light and display clear sight as much as possible. Rangefinders are frequently used for outdoor hunting or golfing, you need to always hold it in hand in using. To ease the way of changing modes and getting ranges, all the rangefinders are set easy and simple to use. If you need a basic one for ranging distance only, you may get one with simple button design. There are many functions that designed for different usages and different conditions. Angle compensation gives slope distance according to degree of slope, wind mode offers wind compensation, rifle mode provides you with estimate bullet-drop, bow mode is quite helpful in getting accurate distance on bow hunting. Normally, a more functional rangefinder points to a higher price, you can choose one according to your needs. Price is the most concerned problem for nearly all the customers, an expensive rangefinder is normally functional and well-crafted, can be used in multiple usages. As the saying goes, you buy what you pay, however, there are also some cost effective types. They are less functional but still have excellent performance in ranging distances. Can hunting rangefinders be used for golf? Some of hunting rangefinders can be used for golf, but not for all. Hunting types and golf types have different requirements on machine, no matter on yardages or on magnifications. Golf rangefinders need to be able to find small objects like flag stick, and requires large monocular for clear view. Hunting types, however, need one for faster operation and small magnifying effect for full field of sight. Thus we do not suggest you use hunting rangefinders for golf, or vice versa. Getting a best laser rangefinder is like choosing a pair of shoes, apart from appearance, you need to get one suitable “size”. On laser rangefinders, you need more factors than size only, that is why we picked up top 10 best laser rangefinders of different kinds and usage, and also gave a detailed buying guides for you. Only when you choose the suitable one for your preference and needs, then the one you selected is the best one. If you want to get more information on products specification, or want to get updated price list, please feel free to check on Amazon.